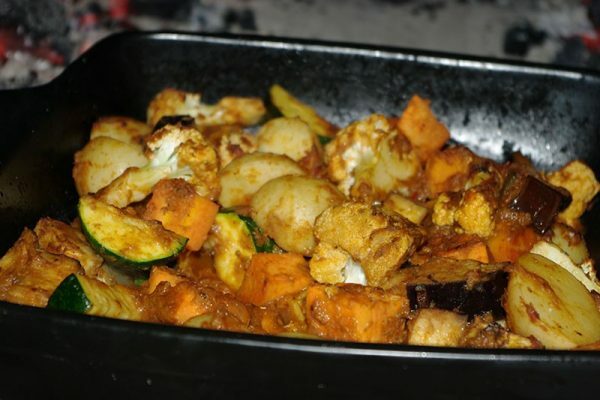 Warm up on these cold Winter nights with this easy Vegetable Curry. Served with Jasmine Rice, Sour Cream, Poppadoms & Mango Chutney its a winner! 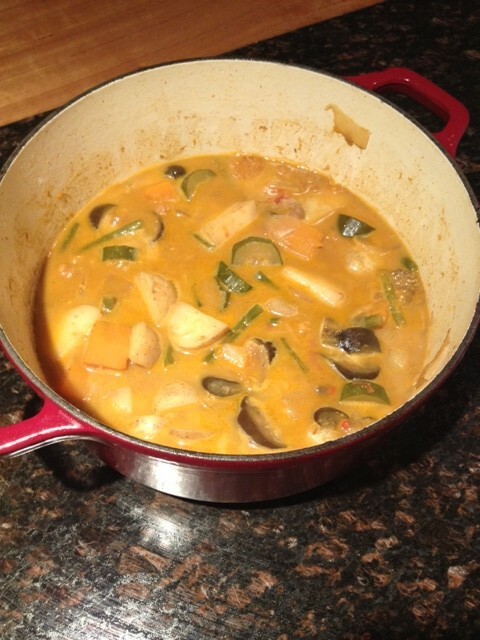 1 Large Onion, Chopped, Green Capsicum, chopped, 2 Tbsp EV Olive Oil, 1 Tsp Red, Green or Yellow Curry Paste. ( Red is mild, Green is medium & Yellow is Hot)2 Large Potatoes & 300g Pumpkin, peeled & cut into bite size pieces. A Zucchini & a Lebanese Eggplant (medium size), sliced. A handful of Green beans chopped into pieces & 1 Can Chick Peas. Coconut milk and a 1/3 Cup water. In a large caste iron casserole dish heat up the Oil and fry the onion, capsicum & curry paste. Add all the vegetables, coconut milk & water. Mix well and place in your Wildcat Wood Fired Oven at 220C for 20 Minutes. Stir and cook for a further 20 minutes. Serve with accompaniments and enjoy.